It is a legal requirement set forth by regulatory bodies and mobile networks. To prevent unscrupulous Content Providers from spamming mobile user. To be able to verify the consent of subscribers. A major channel for premium service subscriptions is SMS. To subscribe users onto a premium content service via SMS, you need to be assigned a keyword and a short code. A user then subscribes to your service by sending your service assigned keyword (e.g. join) to your assigned short code (e.g. 1944). 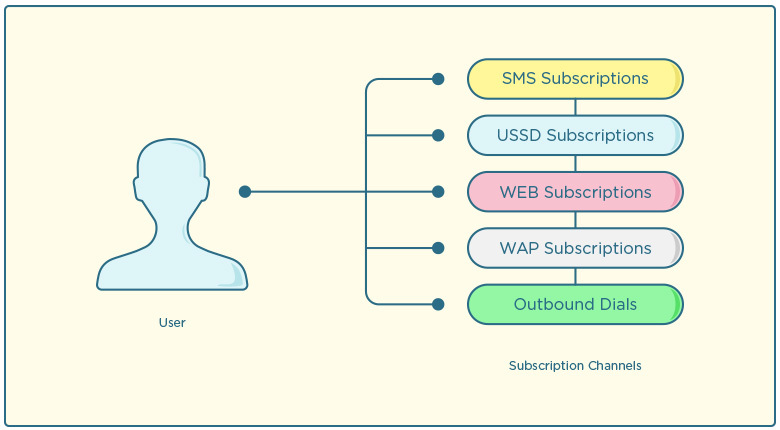 You can implement SMS subscriptions through the Receive SMS API. To acquire subscribers through the web, a content provider needs to provide a publicly accessible website (eg JumpFon) for users to provide mobile number and network provider details. 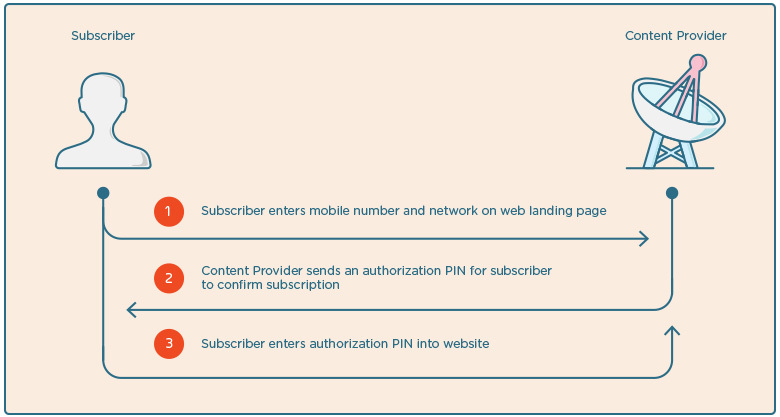 After receiving subscription details (mobile number and network), the Content Provider sends a PIN code to the user’s mobile phone to be re-entered into the website for subscription confirmation. The user provides a phone number and a network provider on the Content Provider’s website. The Content Provider then sends the PIN to the user through an SMS. The user enters the PIN into website to confirm his or her subscription. A welcome message is sent to the user to confirm subscription – this is sent from the default auto-response allowed on the short code from your Unity account. WAP subscriptions enable mobile phone users to subscribe to premium services via a WAP site. It is similar to web subscriptions. Mobile phone user navigates to the WAP site and selects a premium service. Service details and related charges are presented to the user on the WAP site. User is requested to enter his phone number to proceed with subscription. A free SMS containing a confirmation URL is sent to the user. USSD is another channel through which premium Content Providers can manage service subscriptions. Users dial a USSD service code and are directed through a series of menus to result in a subscription. The user initiates a USSD dial, eg*714#. The user then receives a menu of possible services to subscribe to. After selecting the preferred service, the user is presented with service charge, billing frequency and an unsubscription option. In-app purchases are purchases/payments made from within a mobile application. Users typically make an in-app purchase in order to access special content or features in an application such as power-ups, restricted levels, virtual money, special characters, boosts, etc. Application developers are able to provide in-app purchases by sending an SMS to a premium shortcode on behalf of an application user. Actual games/phones must be submitted for in-house testing. Developers must provide a means to stop purchases from all or specific MSISDNs. Purchases must be on-demand and not subscription based. Acceptance and rejection buttons must be visibly displayed together always.